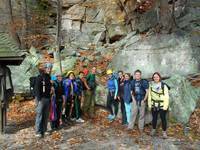 Fall Break Multipitch Class. I didn't take any pictures. How many laps on Ent's Line?? ?